Originally from the Pacific Northwest, Harley now lives in Phoenix, Arizona with her significant other and their own mischievous motley crew of rescue dogs (aka the “kids”). 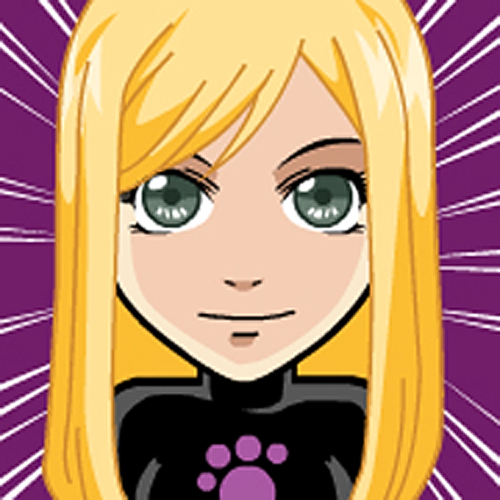 When not at her laptop, she is an avid hockey fan and lover of all things margarita. It’s also rumored she’s never met a green chile or jalapeño she didn’t like, regardless of whether it liked her back. She is the author of the Mischievous Malamute Mystery Series and the Six Seasons Suspense Series. Arianna Jackson—AJ to her friends—has experienced enough drama in the past six months to last her a lifetime. Finding out she’s adopted and a twin to the girl she found brutally murdered and dumped in her alley being among the headliners. And, of course, there’s her sister’s killer, still pursuing her and the secret she holds, despite assurances he’s currently locked away in a secure government facility. Unfortunately, even the best of intentions prevent her from living a drama-free existence when Charlie Wilson, a frequent client of her Mischievous Malamute photography business and an old high school friend, asks her for help after being arrested for a heinous crime he insists he didn’t commit. Sure, Charlie may be arrogant and self-centered, but in AJ’s book, being a jerk doesn’t necessarily mean he’s guilty—not of this crime, anyway. AJ quickly realizes her old pal may not be as innocent as she’d originally been led to believe when he produces a sketchy alibi and is less than forthcoming about a series of missing hours the day of the crime. Still, with or without Charlie’s assistance, she’s determined to find the truth, wherever it leads. Armed with her Alaskan Malamute, Nicoh, and best friend, Leah Campbell, AJ searches for shreds of evidence to prove Charlie’s innocence. But the harder they look, the greater the roadblocks they encounter as it becomes apparent Charlie isn’t the only one with secrets to hide and demons to bury. In fact, much more may be at stake, including the bonds of friendship. AJ and her pals Leah and Nicoh attempt to escape their troubles in the Valley of the Sun for a short vacation in SoCal but quickly become targets when a wave of bizarre threats turns deadly for their friends. If they can’t put the pieces together before the perp’s next blow, they will risk leaving the beach with more than a few unfortunate tan lines. They just might get shipped back to Phoenix—in body bags. 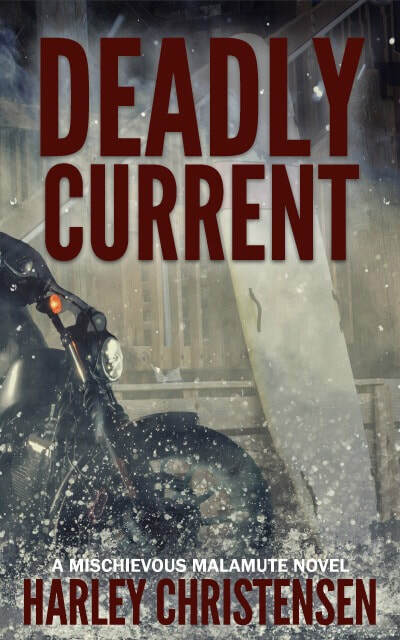 Deadly Current is the fourth installment in the captivating, seat-of-your-pants Mischievous Malamute Mystery Series. As always, AJ and crew seem to find themselves in the middle of the action, but this time around they may have gone from sinking their toes in the sand to being engulfed in the current, compliments of a faceless killer who’s end game keeps everyone guessing, right to the bitter end. Just when life doesn’t seem like it couldn't get any more hectic, AJ receives a call that embroils her in the search for the perpetrator who ambushed a local politician—one which seemingly points to her evasive, jack-in-the-box of a biological father. Upon confronting him, it becomes apparent that he's popped back up for more than a fatherly visit—he wants something that only AJ possesses. But can she trust him if it means destroying lives in the process? When delving into his mysterious past, AJ quickly finds that there are more questions than answers, many of which would be best served remaining buried. Before it’s over, she must rely on her intuition and conscience, because playing her hand could be deadly, as the cards will expose more than the secrets and lies of the players at the table. It will impact the lives of innocent people. Forever. 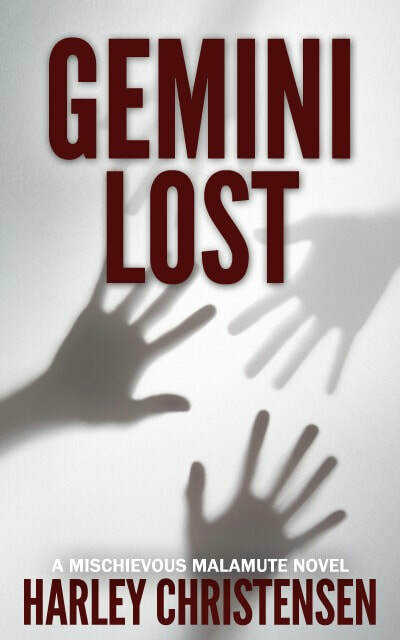 Join AJ, Nicoh and pals in their pursuit of the truth in Gemini Lost, the fifth installment in this fast-paced and suspense-filled thrill ride of a series. Six seasons to live. Six seasons to die. Sometimes killing Time is the only way to cheat Death. Since escaping her tragic childhood where she was abandoned by not one but both parents and left to a bitter, unforgiving family, Harper Storm has mastered the art of being alone and is perfectly content blending into the shadows while the world goes about its merry, indifferent way. To Harper, life isn’t great, but it’s all hers. Great, that is, until a bizarre encounter with a mysterious stranger shifts Harper’s world on its axis. When this messenger relays a cryptic prediction of death—Harper’s—within six season’s time, she’s not sure what to make of the unsettling prophecy and at first, deals with it in the same way she has every other obstacle—she ignores it. Soon, she finds the prediction nagging her at every turn, hijacking the semblance of normal she’s so carefully concocted. And that pisses her off. Just as she sets out to track the stranger down and demand answers—if she can even find her—a friend vanishes without warning and Harper surprises everyone, including herself, when she volunteers to lead the search. Before long, her stellar skills as a chameleon leave her spinning when Harper finds herself slipping outside her comfort zone and into harm’s way as she delves into the shocking truth behind the girl’s disappearance. She realizes that in order to save the girl, she must also face the demons of her past and confront the reality of her unknown future. But can Harper crush through her own barriers and rise to the occasion before time runs out? First Fall is the first installment in the gripping, suspense-filled Six Seasons series, crafted by Harley Christensen, author of the Mischievous Malamute Mysteries. Grab a copy of First Fall today and join Harper on her journey as she tackles the questions—what would you do if Death came knocking? And who are you willing to become to outsmart it? One season down. Five to go. Only a matter of Time before Death comes knockin’ at your door. Fall shifts into winter and Harper Storm is nowhere closer to seeking out the mysterious girl who predicted her death, which—according to the messenger’s timeline—is just five short seasons away. Harper’s attention is diverted from her impending demise when she uncovers a thumb drive buried inside the sofa she’s begrudgingly taken possession of and moved into her studio apartment. With the help of new computer genius friend, Phil Collins, Harper delves into the contents of the drive, curious what would provoke someone to go to such extremes. Soon, they realize the couch’s former owner—the ex-wife of the man so eager to dispose of it—has tapped into something more sinister at the woman’s interior furnishings firm than a showroom filled with last season’s rejects. It’s a trail of breadcrumbs, one that leads her company right into the underbelly of a world that preys on innocence and rips at the soul of humanity. Harper and Phil hit a dead-end in their search for answers when they learn the woman's not only vacated the country—she’s allegedly done so with her business partner on her arm and a sizable amount of the company’s money in her pocket—leaving them to wonder: did she hide the information in her attempt to uncover the truth? Or to conceal her own crimes—ones that could be worth killing for? Once again, Harper places herself in the heart of danger—but will the price be worth the sacrifice this time around as she dangles her life and the lives of her friends in the crosshairs of a ruthless adversary with ties to an underworld that affords no mercy? Winter Storm is the second installment in the nail-biting, edge-of-your-seat Six Seasons series by Harley Christensen, author of the Mischievous Malamute Mysteries. Grab a copy of Winter Storm today and continue Harper’s hunt for the truth!